Posted on Tue, Apr 3, 2012 : 5:59 a.m.
Ann Arbor officials heard an outpouring of support Monday night for marijuana dispensaries, including from patients who vouched for the medical benefits of pot. Meanwhile, City Attorney Stephen Postema declared that dispensaries aren't allowed to operate without a license from the city — and no licenses have been given out yet. Speaking on the 10 dispensaries awaiting licenses in Ann Arbor, Postema said: "They can't operate right now. They're not allowed to operate at all without a license." The debate over the legality of medical marijuana dispensaries in Ann Arbor and elsewhere in Michigan continues. The council ultimately voted 6-4 to table a resolution sponsored by Council Member Sabra Briere, D-1st Ward. The resolution was intended to direct Postema to halt enforcement activities against dispensaries until the council can tweak its medical marijuana regulations. Joining Briere in voting against the tabling were Mayor John Hieftje and Council Members Margie Teall, D-4th Ward, and Mike Anglin, D-5th Ward. The council also postponed consideration of revisions to the city's medical marijuana licensing ordinance until June 18. By a 9-1 vote, the council approved a separate resolution directing the Planning Commission to take a closer look at the city's medical marijuana zoning ordinance. Tony Derezinski, D-2nd Ward, voted no. Drew Driver, who suffers from a spinal cord injury, told council members Monday night he uses marijuana to combat his muscle spasms, pain and lack of appetite. "Marijuana provides relief for me. It truly does," said the Gaylord resident, who made the four-hour trip to appear before council in a wheelchair. Laurel Hufano, a 33-year-old Ann Arborite, said she's come to rely on medical marijuana for her various medical conditions, including arthritis and migraines. She said she also was diagnosed with a rare disease this year that literally translates to "false brain tumor." "It has the symptoms of a brain tumor but there's nothing to fix. They don't know what causes it. They don't know what cures it," she said. Hufano said she's been on several medications but they've only caused more problems than they've helped solve. "I've had no positive response from these pills," she said. "And having a medical marijuana card has made a world of difference in terms of making my daily pain livable. It doesn't cure anything but it makes it livable, and dispensaries are all important because I need a safe place that I can trust, that I can access easily, and a place that's accountable to us as patients." Hufano said the dispensary that she goes to has given her more knowledge and better care than she's received at many doctor's offices. The city's medical marijuana licensing board has been at odds with Postema on what to do about dispensaries in Ann Arbor. The board claims it's trying to license dispensaries while Postema is aggressively trying to shut them down. But a number of dispensaries are still operating in Ann Arbor, even without a license. Postema acknowledged Monday night that his office is heavily scrutinizing dispensaries, but he said that's only because the city's ordinances require dispensaries to be in compliance with the Michigan Medical Marihuana Act in order to get a license from the city. The city attorney's office recently sent dispensary owners letters asking them to reveal detailed information about their business models as part of the license application process. 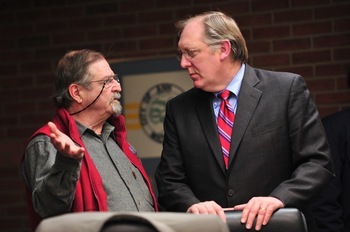 Ann Arbor attorney Dennis Hayes, who represents several local medical marijuana dispensaries, chats with City Attorney Stephen Postema, right, at a meeting last month. "They have to be in compliance with state law. That's as simple as that," said Postema, who believes the sale of medical marijuana at dispensaries is illegal under state law. "We need to find the basic information about their business model." Postema said dispensaries need to be able to come to the City Council and say, "This is how we're compliant with state law." "The fact that the medical marijuana licensing board somehow took offense to this, that's just because they're operating in a different realm in some ways than what I'm being asked to do, so there's nothing surprising there," he told council members. Jamie Lowell, co-founder of 3rd Coast Compassion Center in Ypsilanti, spoke on behalf of the Michigan Association of Compassion Centers at Monday's meeting. He urged council members to wait out pending legislation in Lansing, as well as a decision on dispensaries that's yet to be made by the Michigan Supreme Court. Lowell said lawmakers are actively working on a legislative solution. Later this month, he said, there will be a presentation to House representatives on a local option bill to allow municipalities to choose whether to embrace commercial medical marijuana activity. "Some of the representatives backing the bill are part of the bipartisan medical marijuana work group in the House," he said. "This bill appears to have a great amount of bipartisan support and only requires a simple majority to pass, as opposed to the super-majority needed to change the Michigan Medical Marihuana Act, so we believe that it is quite viable." Lowell said the new bill is expected to be introduced soon after its presentation to the other representatives this month. Multiple speakers at Monday's meeting took shots at Attorney General Bill Schuette, who is staunchly opposed to medical marijuana dispensaries. Going off a Michigan Court of Appeals ruling in the case of People v. McQueen last August, Schuette has argued the Michigan Medical Marihuana Act does not authorize dispensaries and he has supported efforts by prosecutors and local governments to shut down dispensaries. Lowell reminded Ann Arbor officials that the state Supreme Court has decided to hear an appeal in the case of People v. McQueen. His group plans to file an amicus brief. He said last year's Court of Appeals ruling has only caused more confusion and disagreement as to how dispensaries can operate and what a municipality can and can't do. Ann Arbor resident Luis Vazquez said he thinks the city attorney is spending too much time and taxpayer money on enforcement against medical marijuana dispensaries. "The city attorney should not be using my taxpayer dollars to support the misguided and blatantly political actions of the state's attorney general," he said. Vazquez called for the City Council to place a measure on the November ballot to amend the city charter so that the use or consumption of one ounce or less of usable marijuana by adults 21 years or older is the lowest priority of police officers. Farmington Hills-based physician Mitchell Elkiss told council members he's watched the evolving science of cannabinoids over the years and he fully supports medical pot. A member of the OM of Medicine dispensary in Ann Arbor, he spoke of the professionalism of dispensaries and said it's important to have a place that's safe and reliable. "One of the things that I think distinguishes a dispensary from a single caregiver is that they can offer a variety," he said. "They can offer different strains of medicine. They can offer edibles, tinctures, and other vehicles for ingesting the therapeutic chemicals without having to smoke it." Nancy Wright Maxwell, who said she's been a Washtenaw County resident for 30 years, told council members edible cannabis products available at local dispensaries are a great pain reliever for her after many years as an athlete. She said she doesn't consider Vicodin a reliable option, nor is it good for her liver, and she doesn't want to smoke or grow marijuana. She just wants a safe place where she can stop in and pick up some edibles to take the edge off when she needs them. "It's the 21st century. Here we are," she said. "We're in Ann Arbor, one of the most amazing places in the world to live, and can't we be part of the cutting edge of having the model in which this can move forward and really help people?" Toward the end of a lengthy discussion Monday night, Mayor Hieftje lamented the fact that the council has spent so much time debating medical marijuana over the past two years. "I don't want to spend any more time on this than we need to," he said. "We've spent way too much time on this issue for what it should have warranted and I lay that at the feet of the Legislature in Lansing because they have totally dropped the ball and failed to provide consistent guidelines for the local governments." Council Member Carsten Hohnke, D-5th Ward, agreed with the mayor that it would help the city to get some clarification from the Legislature on how to proceed. Thu, Apr 5, 2012 : 2:20 a.m.
Folks, I am 64 years old, became a Christian in 1978, became a minister in 1984, and have been branded a criminal for 46 years now because I CHOOSE to grow &amp; use God-created Cannabis instead of doing man-made, poisonous drugs (legal or otherwise). I am not alone..we are a LARGE counter-culture of folks all over the world who CHOOSE the natural route over the synthetic one. We DO NOT manufacture a drug...we GROW a simple, seed-bearing, herbal PLANT! We dearly love our families &amp; communities, work hard, believe in shopping local &amp; recycling, grow organic, and contribute to society.Now I ask you, honestly, how are we hurting anyone with the choice of our lifestyle? I ask you, honestly, what gives ANYONE the right to make us live a different lifestyle, or THEIR'S? We DO NOT force ANYONE to live our's! We have been jailed, our children &amp; possessions taken away from us, and even killed for OUR choice of lifestyle! So I am humbly pleading with ALL who read this to help RIGHT a WRONG that has been going on for over 70 years now in our country! Help us get the signatures that we need to qualify for the state ballot to end prohibition for ALL adults 21 &amp; over, and then vote YES for OUR God-given rights this November. Go to www.repealtoday.org and don't forget to click the &quot;LIKE&quot; button on the right-hand side of the page. Our signature drive started in Jauary and we have till July 9th to collect 500,000 sigs. Let's make our great state of Michigan the shining light on the hill and the leader of our great nation once again...let's make history once again! Obviously, we are not going to get any help from our current legislators. OUR FUTURE IS NOW IN OUR HANDS, SO WHAT WILL WE DO WITH IT? Tue, Apr 3, 2012 : 11:47 p.m.
Not sure why there is all this confusion here. If dispensaries have to comply with state law, why wouldn't the City examine the state law and the relevant cases? I'm still puzzled why the state law doesn't evidently deal with dispensaries. If the state law and the cases don't allow or don't cover dispensaries, why would the City then allow the dispensaries? It seems that the atorney for the City would be required to examine the law carefully. Isn't that what he is paid to do? Even though I would support legalization , to blame the attorney for the City for a statute that didn't include dispensaries seems wrong to me. The article says that there is legislation pending to allow the option for a city to have a commercial operation. If so, this must finally be an honest acknowledgement that the statute doesn't allow this. This legislation is a probably a good thing. But it also means that all this harping on the attorney for the City has been misplaced. Can someone answer why they didn't include this in the first place? Tue, Apr 3, 2012 : 10:29 p.m.
Do I need a license to sell hair tonic to bald eagles? Wed, Apr 4, 2012 : 12:07 a.m.
As long as we split the profits I would say NO !!! The stupidest thing about all this is that the supposed harmful effects and danger of this drug are totally unwarranted and completely false. The reason it is characterized by certain types as such is its unpopularity among those types, and most particularly the unpopularity of those who use it. But I always thought optimal law enforcement technique involved apprehending things and activities that are dangerous, not unpopular. Alcohol is hundreds of times as dangerous a drug as marijuana. Do we want alcohol re-criminalized? Wed, Apr 4, 2012 : 2:53 p.m. Harmful effects are completely false? What is false is that claim. Here you go with a list referencing reliable research: http://www.webmd.com/mental-health/marijuana-use-and-its-effects http://www.drugabuse.gov/publications/infofacts/marijuana http://www.ednewscolorado.org/2012/02/22/33516-research-shows-adverse-effects-of-marijuana-on-teens-as-drug-use-among-students-appears-to-be-rising http://alcoholism.about.com/cs/pot/f/mjp_faq14.htm http://www.drugabuse.gov/publications/infofacts/marijuana http://www.vsu.edu/pages/940.asp Medical marijuana is a joke. No proper physician would propose a person inhale smoke. Wed, Apr 4, 2012 : 1:13 p.m.
Tue, Apr 3, 2012 : 11:46 p.m.
Tue, Apr 3, 2012 : 11:17 p.m.
Pickforddick, that is not an opinion, that is fact. It is not an &quot;opinion&quot; that alcohol kills far more than marijuana has (which has never killed anyone). That is your opinion, others may differ. Tue, Apr 3, 2012 : 8:09 p.m. Try something that is perfectly legal and there is nothing the law can do about it..............horse manure....let it dry in the sun for 27 days, slice it thin, roll it and smoke it. I guarantee it will be like nothing you have ever tried. Tue, Apr 3, 2012 : 11:19 p.m.
Hallucinogenic mushrooms pop up spontaneously on horse and cow manure. This has become an issue in some states farther south, as it's gotten quite popular among the local teenagers. In response, they have begun slaughtering all the horses and cattle, and made possession of horse manure a felony. Tue, Apr 3, 2012 : 8:31 p.m.
Tue, Apr 3, 2012 : 8:05 p.m. It's a shame that the AG and Stephen Postema are acting in a manner that is clearly contrary to the will of the people of the State of Michigan. Tue, Apr 3, 2012 : 8:34 p.m.
Could this be moved to the third paragraph of the story. Seems to conflict with Postuma's statement. Tue, Apr 3, 2012 : 5:13 p.m. These people are the real hero's. Tue, Apr 3, 2012 : 5:03 p.m.
Dispensaries cannot operate without a license, then license them. Stop trying to short circuit a law that a majority of the citizens of this state voted for and start licensing. Rather than the city attorney looking for ways to circumvent the law and deny licenses for dispensaries by saying they are against state law, why doesn't he have to point to the specific language in the law that makes them illegal? Oh, that's right there isn't any. Tue, Apr 3, 2012 : 4:18 p.m.
Why not just wait for a) The supreme Court to Rule on the legality of dispensaries, or b) the Department of Community Health, a department of the executive branch, to issue better guidelines. I personally think it should be legalized, regulated and taxed. I mean you can get high off of smoking banana peels and the red skin between the peanut and the peanut shell, and those things are still legal. Tue, Apr 3, 2012 : 8:02 p.m.
You may also want to try horse manure....let it dry in the sun for 27 days, slice it thin, roll it and smoke it. I guarantee it will be like nothing you have ever tried. Tue, Apr 3, 2012 : 6:34 p.m.
Everyone is suggesting that Prosecutor Stephen Postema not follow the law. That is his jobI believe. I would like to see Federal and State legalization of marijuana, soon. But that isn't going to happen soon I'm afraid. That does not mean that I think that the prosecutor should dismiss the edits of the judicial system. This is the law as it stands now. http://www.michigan.gov/ag/0,4534,7-164--264560--,00.html Schuette noted the Michigan Court of Appeals ruled earlier this year in People v. McQueen that the Michigan Medical Marihuana Act (MMMA) does not authorize dispensaries and said he supports efforts by prosecutors and local governments to shut them down. 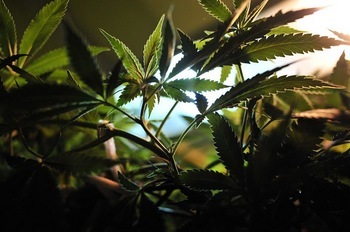 The Court of Appeals concluded that: •	The MMMA does not legalize marijuana; •	The MMMA authorizes marijuana use only in &quot;very limited circumstances;&quot; •	The &quot;medical use&quot; of marijuana does not include the sale of marihuana; •	The MMMA does not authorize marijuana dispensaries; and •	The courts can infer that a dispensary's purpose is not to alleviate a debilitating medical condition. Earlier this year, Schuette joined Isabella County Prosecutor Larry Burdick and Midland County Prosecutor Michael Carpenter in support of their efforts to close dispensaries in their respective communities. Tue, Apr 3, 2012 : 8:28 p.m. Remember voter passed laws are defined with common language definition NOT legal definition. Just the wording &quot;Primary Caregiver&quot; lends to a common definition that indicates more than one caregiver. Like many others you are reading the law with legal definition which does not apply in this case. The MMMA doesn't allow for commercial dispensaries. The Appellate Court ruled them illegal to operate yet Ypsilanti, Ann Arbor and other cities have defied the ruling and are issuing licenses that have no basis in the law. At the least these dispensaries should all be shut down until the state Supreme Court clarifies the law or passes legislation that allow dispensaries to sell weed. Thu, Apr 5, 2012 : 4:09 p.m.
1bit- You are correct that any marijuana activity is Federally illegal. I am still correct that People v McQueen did not make dispensaries illegal. Wed, Apr 4, 2012 : 12:08 p.m.
jamie: I agree with your points, including letting the State Supreme Court decide the issue. However your statement, &quot;which in no way makes them illegal&quot;, is not true. Technically, every dispensary is illegal under federal law. The COA ruling does NOT outlaw dispensaries anywhere in the decision. It simply confirms that the MMMA did not address them, which in no way makes them illegal. Also, the State Supreme Court has decided to take a look at the validity of the COA ruling, which is not surprising since the COA ruling clearly lacks foundation. The Supreme Court was also asked to analyze the very questionable trend of decisions in the COA concerning medical cannabis. Until the SC weighs in People v McQueen should be set aside by everyone. The Supreme Court does not typically take up a case that it believes was decided properly in the first place. Tue, Apr 3, 2012 : 3:24 p.m. The legalization of medical marijuana was approved with 63% of the vote in 2008. In 2010, Schuette was elected when 16% of Michiganders showed up to the polls to vote for him. The numbers speak for themselves. Tue, Apr 3, 2012 : 2:44 p.m. This guy Postema sounds more like the city attorney of Grand Rapids than Ann Arbor. Is it me or has the whole state shifted way to the right? Tue, Apr 3, 2012 : 7:13 p.m.
You need to respect all view points....they may not always agree with yours but they deserve respect. Tue, Apr 3, 2012 : 5:55 p.m.
You need only look to most posts on Ann Arbor.com to see that even this community has become far-right conservative, bigoted, discriminatory, and generally hateful to those reflecting viewpoints different from their own. Tue, Apr 3, 2012 : 2:30 p.m. Thank you Postema for throwing yourself into the line of fire. It takes great courage to stand up against the sick. Without brave souls such as yourself the rest of us might have ended up dead in a ditch from the roaming marijuana zombies hacking the innocent to pieces. Tue, Apr 3, 2012 : 1:44 p.m.
&quot;I lay that at the feet of the Legislature in Lansing because they have totally dropped the ball and failed to provide consistent guidelines for the local governments.&quot; What has Mayor Hieftje EVER taken responsibility for? 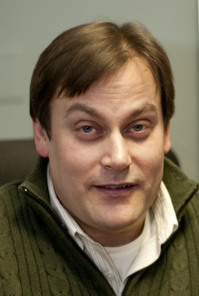 Tue, Apr 3, 2012 : 2:10 p.m.
Alan Goldsmith, you've just described a symptom of Narcissistic Personality Disorder. We need a mayor, councilpersons, city attorney that is here for the people, not for him or herself! Tue, Apr 3, 2012 : 1:46 p.m. He takes credit for everything-responsibility for nothing. Tue, Apr 3, 2012 : 1:39 p.m. I don't understand why, when there are people constantly coming forward with very difficult-to-live-with medical conditions, public servants like Postema and Schuette can't get on board. Michigan voted YES for medical marijuana. These clowns work for us. These citizens are suffering and need the medicine that gives them relief. Postema and Schuette should stop working AGAINST the citizens of Michigan and make this work for the patients. More transparency is certainly a good first step and the fact that the city attorney's office asking dispensary owners to reveal detailed information about their business models as part of the license application process is solid, but what about the dispensaries security protocol? Protecting themselves and their patients? I still worry that the city will not be able to effectively protect dispensaries or patients once the pot starts flowing from Ann Arbor dispensaries. We've already seen the uptick in crime in past years as dispensaries were robbed at gunpoint! Wed, Apr 4, 2012 : 4:21 a.m.
&quot;the city attorney's office asking dispensary owners to reveal detailed information about their business models as part of the license application &quot; Really? That is a good thing? I want a detailed BUSINESS MODEL of every business in this town then. You obviously have no idea what the term business model means if that is what you are proposing. Tue, Apr 3, 2012 : 8:23 p.m.
Who are you referring to as ya'll ? Tue, Apr 3, 2012 : 8:15 p.m.
Tue, Apr 3, 2012 : 6:48 p.m.
Statistics do not always tell the truth, there is book smart and then common sense smart, I trust the common sense smart more and more. Tue, Apr 3, 2012 : 6:15 p.m.
Tue, Apr 3, 2012 : 4:38 p.m.
We need a vigilante or two like Sanford Fla.
Tue, Apr 3, 2012 : 1:09 p.m.
Good. The circus clown got his red nose taken away. I bet he's pi$$ed. Oh well, guess its a bad idea to put yourself above the voters. Maybe, and I'm just spit balling here, maybe it would be a good idea to respect the will of the people and embrace democracy. This &quot;jihad&quot; against both needs to stop. Tue, Apr 3, 2012 : 12:52 p.m. If medical marijuana is needed to treat patients why not regulate like other drugs? What makes Medical Marijuana so special? xmo: You're right, of course, that as a drug it should be regulated. I think many would prefer it to just be legalized and view it in that context. The law is, however, the law and thus it seems that regulations need to be applied. Hoodie- i doubt anyone &quot;remains&quot; in an altered state from any drug, nicotine and caffeine included. Use and abuse are to different things friend. Tue, Apr 3, 2012 : 5:42 p.m.
Leftjay, point in fact. If you enjoy being in a semi-conscious state for the remainder of your life, go ahead. It's not special, it's not a drug...it's a plant that grows naturally in the earth... I'm all for regulation/taxation...if California would legalize and tax it...that state would be out of debt in 6 months! Tue, Apr 3, 2012 : 3:32 p.m.
@A2 Hoodie- Evidence-based claim, or factless opinion? Pot is for many clinical depressed folks a great way to mask their symptoms. They spend their time listening to Phish and feeling sorry for themselves, instead of getting the help they need. Tue, Apr 3, 2012 : 1:30 p.m. I can grow pot, I cannot make Lipitor. Number of deaths attributable to MJ overdose or consumption over the last 40 years- 0 That is a pretty good track record. Is there any particular reason that you all of a sudden want MORE govt regulation, other than the stereotype that pot is a &quot;liberal &quot; thing? Tue, Apr 3, 2012 : 1:06 p.m.
To put that in perspective: the feds claim that marijuana is &quot;worse&quot; for society than cocaine, meth, or opium--all on Schedule II. No one ever said our drug laws make sense. Tue, Apr 3, 2012 : 12:58 p.m. Most proponents of medical marijuana would agree with you. Sadly the FDA does not allow almost any medical research into cannabis because it is a Schedule I drug which means, supposedly, it has &quot;no medical value.&quot; It's a Catch-22: you can't do research, despite promising scientific and anecdotal evidence that it would be of great medicinal use because it's on the Schedule I, and it's on Schedule I (in part) because there's little research available. The state laws are not the best solution; they're the best possible response given the federal government's irrational intransigence. Tue, Apr 3, 2012 : 12:51 p.m.
Everything will be better for the citizens of the area when all of the activity is pushed back out into the streets with the drug cartels back in control of MJ distribution. Way to go Mr Law Enforcement Officer. Wed, Apr 4, 2012 : 12:34 p.m.
Tue, Apr 3, 2012 : 7:04 p.m.
Tue, Apr 3, 2012 : 12:46 p.m.
Tue, Apr 3, 2012 : 12:09 p.m. I'll add what council knows well: a significant portion of your constituents, of all ages and income levels, smokes marijuana, with varying degrees of legality. Very few people here have a problem with it when it's used responsibly (whether medically or not), and many, many A2ers smoke it in a responsible manner. Yes, it's all kept relatively quiet, but it isn't exactly a secret. Allowing and supporting this strange jihad on marijuana is not going to help anyone on council keep their seat there. Tue, Apr 3, 2012 : 12:03 p.m. This is ridiculous. Postema is essentially asking businesses to a priori prove their innocence (of what?). Part of this is due to a badly written law, it gave far too much discretion to people like Postema and Schuette, who are doing everything they can to undermine the law, passed by a significant majority of the voters. The authors of the initiative should have known that many people in positions of authority still have a bizarre and irrational hatred for a certain plant. Council, as usual, has shown its fecklessness and cowardice. We (the citizens of Ann Arbor) are Postema's only client. How are his actions in this regard working in our interest? Council, at the very least, needs to be asking tough questions, and most likely directing him to stop. He's creating problems for his client where none exist otherwise. Tue, Apr 3, 2012 : 11:03 p.m.
Mr. Postema's only client is a municipal corporation called the city of Ann Arbor. And all of the city's interests. Not the citizens. Tue, Apr 3, 2012 : 12:06 p.m.
Mr. Postema works for the City Council... they are his client, not the people of Ann Arbor. Tue, Apr 3, 2012 : 11:59 a.m. Apparently marijuana is the only type of product/service that is allowed to be provided in an unlicensed, unregulated outlet. Bars, restaurants, clubs, hotels, etc... all need licenses so why is this different? Wed, Apr 4, 2012 : 4:18 a.m. The LAW that was passed by a vote of the citizens and added to the MICHIGAN constitution does not say the city attorney can license or make opening facilities impossible. Tue, Apr 3, 2012 : 12:22 p.m. The problem here is you're just making things up. Council often passes liquor licenses by voice vote. I suggest you look at what Postema is actually requiring to even consider license--it is far, far beyond what is required of any other business, and these requirements have no basis in the state law. And can anyone doubt that even if any business was able to muster everything he demanded, he'd still find a reason to deny the license any way? Yes, part of the problem is a vaguely worded law, in that it gave anti-pot fanatics too much discretion. Tue, Apr 3, 2012 : 12:14 p.m.
would you ever enter an industry where the regulatory burdens were unknown? Poor choice thats now being dealt with. Also, I would not say this is more onerous than a rezoning issue (see: Biercamp's problems) or getting a liquor license. Tue, Apr 3, 2012 : 12:05 p.m. In part because Postema is placing onerous, often baseless, demands on the businesses in order to receive licenses. Tue, Apr 3, 2012 : 11:35 a.m.
Why was the city of Ypsilanti able to re-license their dispensaries without any problems? Tue, Apr 3, 2012 : 4:36 p.m.
Because they don't have the legal eagle Postema. The Council should take Ypsi's law and pass it. Then we get a few jobs and some more taxes. Tue, Apr 3, 2012 : 11:26 a.m.
AA1940 makes the most cogent of points. A quick internet search shows that &quot;synthetic&quot; marijuana costs 100 times the price of the herb. It offers nothing except for ungodly profits to drug manufacturers who must really fear the medical value of the herb and what it would do to the sales of its very addictive and life destroying pain killers like vycodin and oxycontin. They say that the herb is addictive and destroys lives, yet former QB Ryan Leaf is the more compelling example. Addicted to Rx drugs he has been arrested twice in a matter of a couple days in two different cities for burglary and Rx drug possession. Yet, puppet soldiers like Postema and our Atty Gen wage war on a weed legalized by the voters. Who are the real pushers here? Who are the real criminals here? Who really cares about the health and welfare of its citizens? Who really is just interested in perpetuating the profitable drug enforcement industry while protecting the Rx companies' profiteering at the expense of the taxpayers both in the cost of enforcement and in paying for Rx insurance through medicaid and medicare? Enough of this. Democrat, Republican. It makes no difference. Just follow the money and you'll find the rats scurrying around it eating each other for it. Tue, Apr 3, 2012 : 3:29 p.m. Correction: 63%, not 67%. Other than this incorrect and now amended figure, I stand behind the remainder of my post. Tue, Apr 3, 2012 : 3:20 p.m.
JRMjr: &quot;the MI Attorney General is elected so he is enforcing the will of the people of the state.&quot; Would that were so. Do you remember what happened to Proposal 1 in 2008? I seem to recall it passed with 67% of the vote. How exactly do Schuette's activities mesh with the will of the people, again? Tue, Apr 3, 2012 : 12:02 p.m.
the MI Attorney General is elected so he is enforcing the will of the people of the state. The City Attorney is the City Council's (elected body) legal adviser so vote out anyone that supports him? Fundamental democractic processes at work here. Also, why the need to call them &quot;puppet soldiers&quot;... it doesn't add anything to the debate or discussion to namecall. Tue, Apr 3, 2012 : 11:14 a.m.
Postema must own stock in Pharmacy Companies, why else did my prescription for MARINOL cost my insurance company $ 900.00. Let's move Ann Arbor into the 21 st century. And please don't refer to it as pot. Tue, Apr 3, 2012 : 4:48 p.m. The scientific name is cannabis sativa or cannabis indica, not pot. Even the word marijuana is a slang term. Sorry if you don't like it but that is the facts! Tue, Apr 3, 2012 : 2:47 p.m.
&quot;And please don't refer to it as pot&quot; Thank you! Tue, Apr 3, 2012 : 12:43 p.m.
a2cents And BIG Pharmacy Companies only care about you &amp; they don't care about the drugs they push or $$$$$....right? Give me a break!!! Tue, Apr 3, 2012 : 11:57 a.m.
Tue, Apr 3, 2012 : 11:03 a.m.
Mr. Postema is not enforcing the law, he is making it. If he wants to be a legislator, he should run for office. Can the mayor and council dump this guy? We can at least be thankful that Stephen Postema isn't running for judge. He would have horrible from his 'work' for the City of Ann Arbor. Tue, Apr 3, 2012 : 4:32 p.m.
Postema must be looking for a Snyder Judge appointment. Tue, Apr 3, 2012 : 12:38 p.m.